Early morning transfer to railway station to board the train to Amritsar Swarna Shatabdi Express the (attention ! this train does not run on Thursdays). On arrival transfer to hotel. In the afternoon, visit the Golden Temple, one of the highest place of Sikh religion founded by Shri Guru Nanak Deji. In the evening you will attend a ceremony in the unique atmosphere near Wagaha. Overnight at hotel. After breakfast, drive to Dharamsala / Mcleodganj. In the past, McLeodganj was the home to the semi-nomadic Gaddi tribe lived. Today it is the residence of His Holiness the Dalai Lama. This place dates back to the mid 19th century and served as a British garrison. It then served as administrative point for the whole Kangra valley. It is now the seat of government of Tibet in exile headed by His Holiness the Dalai Lama. The monastery, impressive in size, with paintings of Buddha, Padmasambhava and Avaloketeshwara. Overnight at hotel. Free day to explore the town and understanding the buddhist religion, tibetian life culture and their philosophy. Overnight at hotel. Drive to the morning to Manali, called the "Valley of the Gods". Manali is an important hill station in northern India and a leading destination for thousands of tourists every year. The resorts offer a refreshing environment in which one can escape the humid tropical Indian summers. Furthermore, Manali offers plenty of excursions and is a great place for anyone looking for both comfort and adventure sports. Opportunity to practice skiing, hiking, mountain hiking, paragliding, rafting, trekking, kayaking and mountain biking. Overnight at hotel. After breakfast, you are free morning to use it the way you like. In the afternoon, visit the "Vashishta springs." 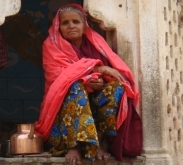 The hot spring of Vashishtha is famous for its medicinal benefits. Many people flock to enjoy the warm waters and the virtues of spring to relieve various ailments. Near the temple dedicated to Vashishta Muni, a large stone pyramid was built there. Continuation of the visit by visiting the Manali Hadimba Devi temple, an important place dedicated to the goddess, who became demon Hadimba (or Hirimba), the wife of Bhima. Built in 1553, the temple is known as the Temple "Doongri Mata". Overnight at hotel. After breakfast, drive to Jispa. Along the way, stop at Keylong, the center of that area, and visit the local bazaar. Continue to Jispa. Overnight at hotel. After breakfast, drive to Sarchu, the border between the states of Jammu and Kashmir and Himachal Pradesh. Along the way, visit Baralachala. Switching to 4883 meters. Here, at the top, there is a lake known as "Surajtal." Meeting with villagers ofDarcha located near Rumtze. Opportunity to visit the monastery of the Dalai Lama recently built during the "Kalachakra program." Night in Sarchu to 4200 meters. Stay in tents. Warm clothes are required. Free day to explore. Accommodation in tents. Morning drive to Leh via Upshi. Passage by Lachungla located 5065 meters above sea level, rugged place in the mountains. Lunch at Pang. 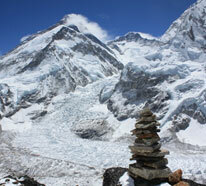 Then continue through the second highest road pass in the world, pass Tanglangla located 5350 meters. You will surely enjoy the local wildlife along the way: marmots, yaks and all the wild flora of the mountains. Arrival at Leh. Overnight at hotel. Relaxing day. 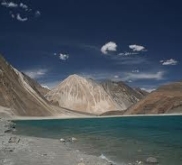 Leh is located at 3,500 meters above sea level. By late afternoon, stroll through the bazaar of Leh. Overnight at hotel. Early morning visit the Thiksey monastery to attend prayer ceremonies. Then visit the largest monastery in Leh "Hemis." On the way back, stop to visit the Shey Palace. Overnight at hotel. After breakfast, visit monasteries and Spituk Phyang. In the afternoon walking tour of the "Kings Palace" of the mosque in Leh, Leh Gompa, and Shankar Gompa. Overnight at hotel. Day excursion to Fort Basgo, drive and visit Alchi monastery is the only monastery built on the ground. Evening return to Leh. Overnight at hotel. Transfer from hotel to the airport in Leh. Flight to Delhi. The oldest hotel in Old Delhi built in the 1900 Colonial architecture, spacious gardens, magnificent chandeliers, long corridors, everything is done to revive the scent of old India. Very friendly and attentive staff. Close to all the tourist spots. Modern, spacious rooms and great facilities. Beautiful hospitality and top service. The hotel is ideally located, below the road. Beautiful terrace with a nice view. Friendly, helpful staff. Away from the crowds, this hotel offers comfortable rooms and beautiful views of the mountains. Friendly and smiling staff. Beautiful rose garden. Buffet breakfast with many choices. Hotel located in the hills above the town of Manali, offering a splendid view of the mountains. Excellent vegetarian cuisine. The hotel has a spa where you can relax after a day of sightseeing. Authentic and comfortable camping in a breathtaking environment. Tents equipped bathroom. Hot meals served in a communal tent. Gracious staff. Our hotel near downtown. Has central heating. Bright and spacious rooms with mountain views. Fine local cuisine.